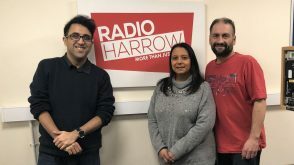 Former and current volunteers of Radio Harrow will be participating in a charity walk to raise money for Bowel Cancer UK in memory of their friend and colleague Keith Chilvers. The group are taking part in Walk Together London, a 5-mile walk along the river Thames, on the morning of Saturday 15th September. 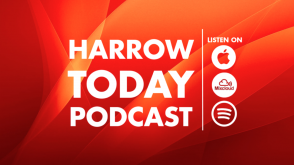 Keith Chilvers was a founding member of Radio Harrow and was widely known across the community through his radio work with Radio Northwick Park and Harrow Community Radio. Keith started his radio career at Radio Northwick Park in 1989. He volunteered for the charity for over two decades and became a linchpin within the organisation, serving on the Trustee Board in multiple roles including Treasurer and Chair. 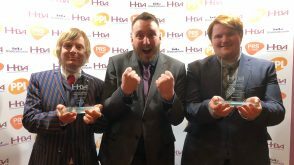 He went on to setup Harrow Community Radio, to help further serve the people of Harrow and build a central place that engaged with the local community and acted as a platform for them to have a voice, which may not otherwise have been heard. Keith had a 3 year battle with bowel cancer and kept working throughout his treatment. He sadly lost his battle in November 2015 aged just 52. Walk Together has been set up by Bowel Cancer UK which aims to bring people together so that they can show their support for those undergoing treatment, remember loved ones we have lost and help stop bowel cancer. More Details can be found at https://www.bowelcanceruk.org.uk or on Twitter @BowelCancerUK. You can donate to any of the individual pages below, with all donations contributing to the team target of £800.